Have an unstoppable desire to be unconventional and free-spirited? 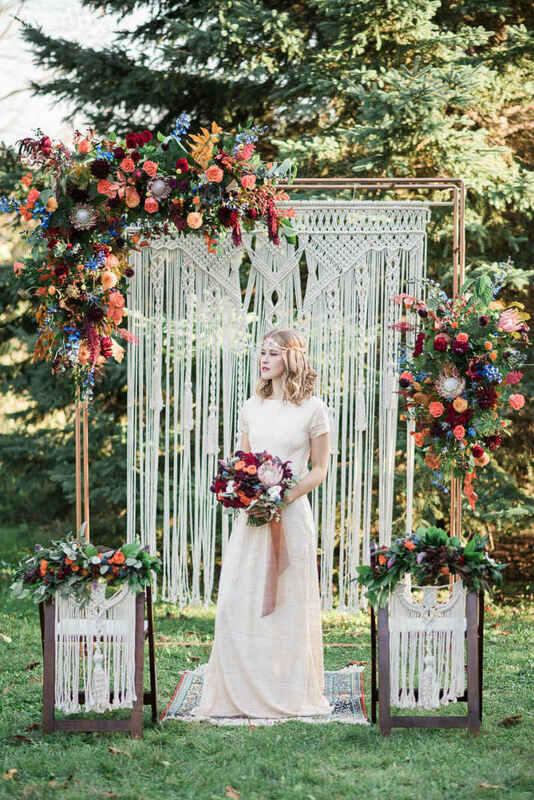 Than this bohemian wedding shoot is for you! 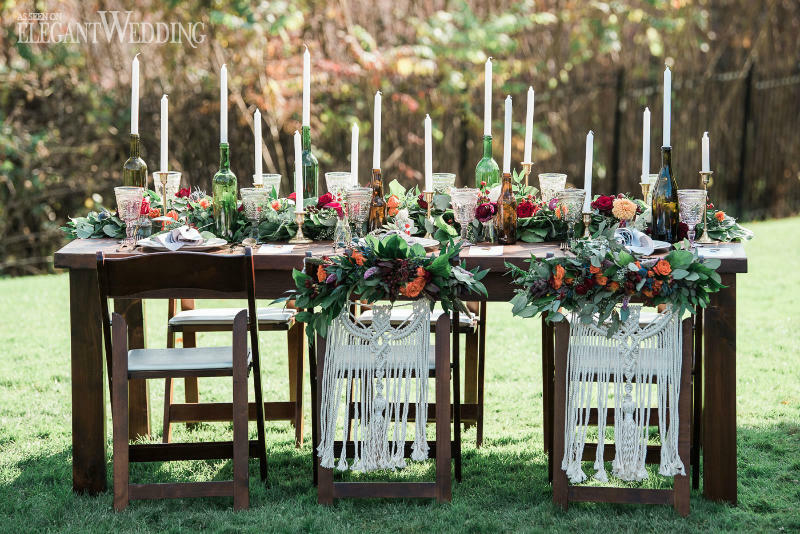 To showcase the vibrancy of fall with an outdoorsy backdrop, a colour palette featuring burgundy, orange, purple and green was selected. 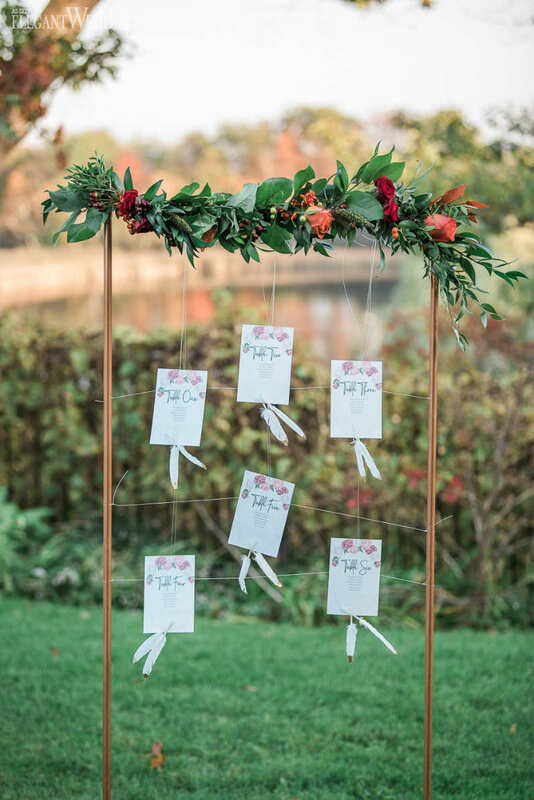 The ceremony area featured a copper arch framed with flowers and a large macrame (our favourite detail! ), while a harvest table decorated with garlands and candles completed the reception setup. Between the adorable pup wearing a floral collar and hanging dream catcher decor, this creative has all the makings of a boho enthusiast!